What better way to commenorate ANZAC day then to go out for dinner at Fenix. White bean soup with seared scallop - at the bottom of the bowl lays a mix of sautéed onion and jamon and whole white beans. 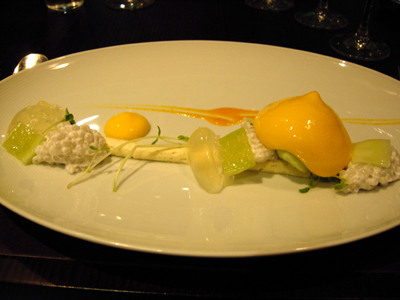 A stunning way to start the meal - a dish I wished would never end. 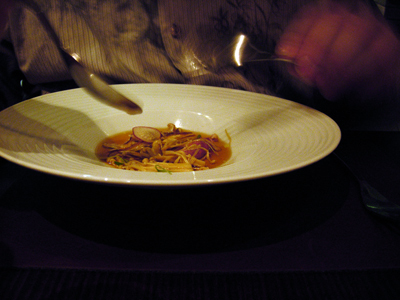 The soup wonderfully creamy by itself but digging to the bottom of the bowl you are treated to the flavoursome mix of sautéed onion and jamon. Just thinking about it makes my mouth water. 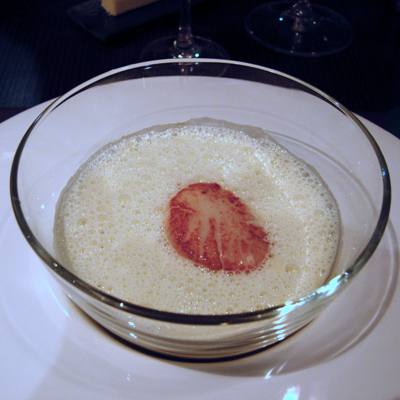 The piece de resistance was the perfectly cooked scallop, just seared on the outside, it was sweet and substantial. If our last dish was a bit Mediterranean then this is surely a bit Japanese. 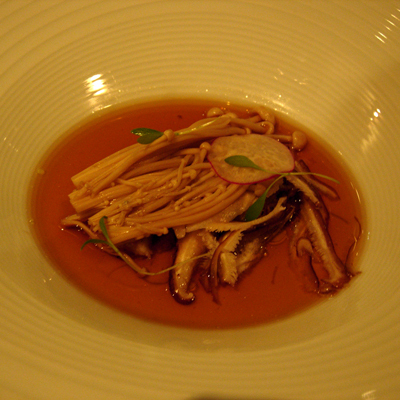 A mix of mushrooms including shiitake and enoki along with radish and smoked eel in a clear broth. 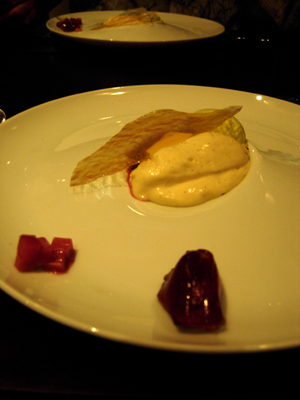 A lovely dish of pure flavours. 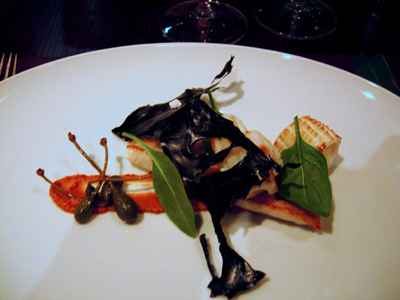 You might remember this dish from my birthday lunch - squid ink sheets, calamari and john dory. 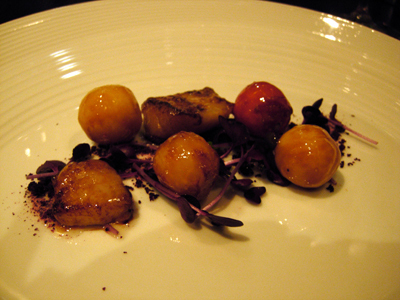 Marrow and assorted dehydrated vegetables - there's such an intensity of flavour in those dehydrated vegetables. 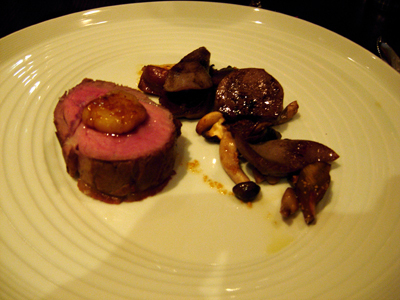 Veal fillet topped with marrow and served with mixed mushrooms - a generous portion of wonderfully pink veal fillet, the marrow almost oozing as it sits atop.